This is one of my favourite outfits in a long time! I love Grey so much - whether it be an outfit, shoes, bags or interiors, I just love how Grey looks with everything and it's also the perfect shade to match with so many other colours without clashing. Autumn is also the perfect time for layering so I have layered this Ombre jumper from Topshop with my denim jacket and Grey gilet over the top. I love how this looks and how beautiful is this Topshop jumper?! To add a different texture, I wore these leather trousers also from Topshop. I usually only wear these on a night out but thought I would make them more casual and I really like how these look with my Adidas trainers! Last but not least, I accessorised with my new Saint Laurent Kate Monogram Bag. I have wanted this forever, and treated myself to this on my birthday and I am so happy with it. I love how this makes every outfit look so classy. 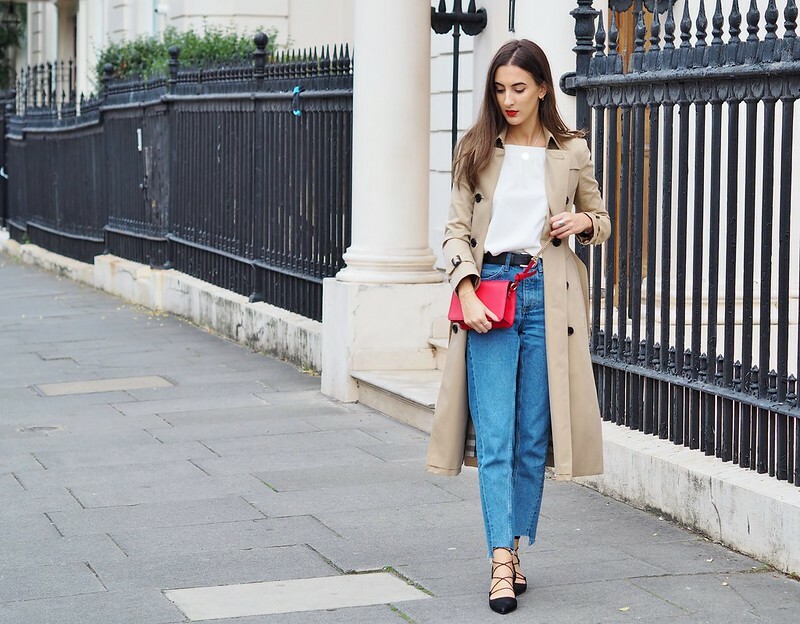 It's definitely starting to get colder in London now, so I'm saying hello to coats and bye bye to jackets! I recently visited Bicester Village for the first time and treated myself to this Burberry Trench Coat. It's such a timeless wardrobe piece and looks great with most outfits. It's also the perfect Autumn staple as it's not too thick or heavy yet just warm enough for this time of year. 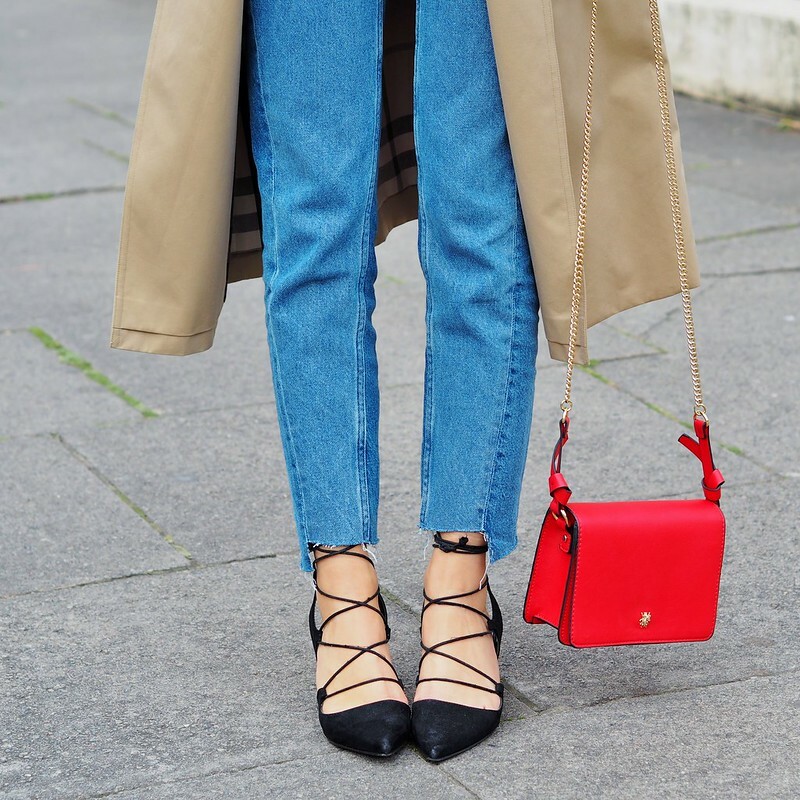 I seriously love the way this cute cross body Zara bag looks against this coat and the denim. 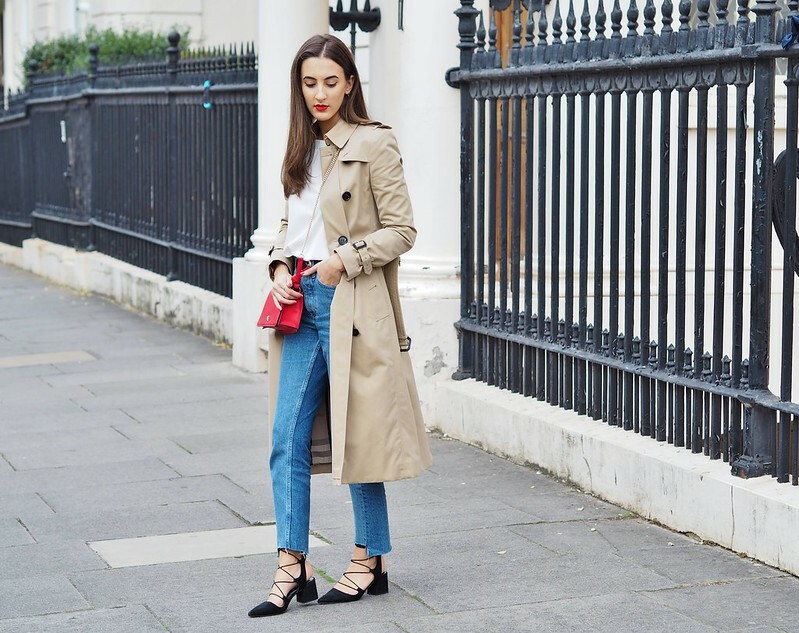 These are my new favourite jeans, particularly because of the step raw hem and vintage feel. They are also fast becoming my most worn pair of jeans and are definitely the most comfortable! I feel like I will be living in these come Winter. Keeping the rest simple with this Shein White Bell Sleeve Off Shoulder Top.